1985 CSUF Business major & a little sister Delta Upsilon Fraternity. Worked @ movie theater, a marketing firm & 20 years managing hotels. Piccadilly Inns in Fresno to the Hilton, Amfac and Marriott in the bay area and then back to University Piccadilly Inn. I married the love of my life, David Stumme, in June 1989. David was Navy, stationed at Moffett Field in Mountain View, Ca. Nathan was born November 1991. Priorities shift quickly when children arrive! What a blessing! While I was pregnant my mother passed away. She was a wonderful woman and God blessed me with knowing her.We transferred to Lemoore NAS, 1993 and moved to Fresno to be near family. Michelle was born in December 1994, I was diagnosed with breast cancer June of 1996, went thru chemo and radiation and have been cancer free for 13 years! God is good. Jennifer was born March 1999. My father was diagnosed with Alzheimer’s about that time so I left my ‘career’, family was a bigger priority. Rachel arrived October 2001. When my father passed 2003, David and I, having left the Navy, moved our family to Iowa so our kids could spend time with their grandparents on the farm. It has been good. We live in a town of 2000, next to the indoor swimming pool and across from the library. 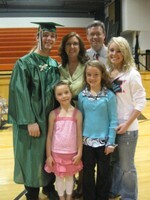 My kids walk to the K-12 school of just under 500 students and my son was just graduated with his 31 classmates. We are active members of Heritage UMC where I am the Youth Ministries Coordinator; we do scouts, speech, football, soccer, volleyball, softball, and music music music! Perfect? no, but life is good! Campus Life, Sadie Hawkins Day, Swim/Dive team, Band, Chorus, School musicals, Lisa, Karen, Kevin, Niner, Brownie, Bruce, Gil, Brad, Nan, Karl, Mark, Reinhold, Hilton, Christy, Randy, Keith Lettergirls, pep rallys, the snack shack, parades, 1/2 time shows, Flag Team, driver's ed, football games changing in the car on the way to pizza, Monsieur Proudian, Mr Morrow, Millerton Lake, Woodward park....whatever memories come back with these key words! Karen Green Stumme has a birthday today. 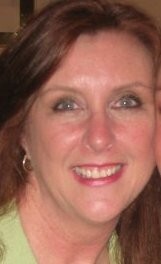 Karen Green Stumme updated her profile. View. California Vacation 2008 overlooking the Golden Gate from the left my son Nathan, daughters Michelle, Jennifer and Rachel. Me in back and my husband David.